It's rather simple, but I like it. It's the kind of hat my husband likes to wear. I even think I'll pack it into our carry-on luggage for him if the weather in Holland keeps doing what it's doing now (so cold! so happy to be away from it!). This Wednesday I'll be hosting my monthly Mad Hatters' Link Party. 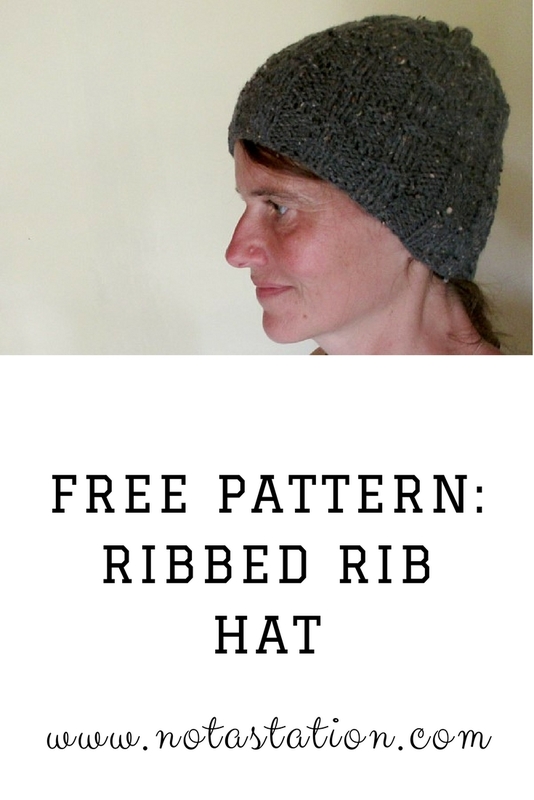 Feel free to visit and post any hats you made last month. 2 :: Iguanas. We sort of like them. Not as a pet, but we don't mind seeing them in the wild. Fascinating creatures. 3 :: Since we've arrived here I've been using this hairbrush. I love it. It gets tangles out really easy. Even when I have undone my braid to let my hair dry after a swim in the ocean (so salt and wind have been doing their thing with it), it doesn't hurt to brush it out. I wish I had had this brush a lot earlier! I decided to have a pixy cut a few years ago, after staying on Curaçao for a month. My hair was just too dry and damaged by the salt and the wind to keep it long. But I never really liked the short hair on me and let it grow out. I hope this brush will save me from having to cut it off again. 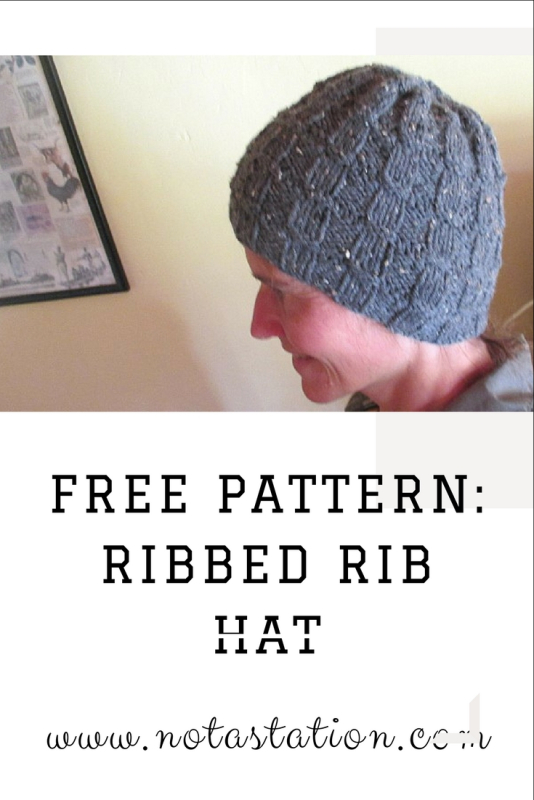 My fifth and sixth hat were two variations on the same pattern, a slouchy one and a normal fit. The first one had me knitting on the edge. This was all the yarn I had left to finish it... (and that was after cheating on decreases on the top: I skipped a few rows I should have knit to make it flatter). Anyway, It actually turned out nice, I think. I added two rows of YO and two rows purls to give it a bit more movement and texture and that worked out great. I liked that texture so much I decided to use it on the next hat too. Same yarn, different color. Shorter brim and no increasing after the brim, but the rest is the same. I thought I'd like this one better, but it seems slouchy hats are growing on me cause I prefer the slouchy one. Which one do you like best? And what are you up to these days? Any hats? We started it on Friday evening like we do most weekends: by visiting Seaquarium Beach, have a bite to eat and a few drinks, while watching the sun set into the sea. We never get tired of that! On Saturday we worked all day and it felt good. It's silly how chosing to work can make such a difference in how it feels... T. dove into getting to know a different programming language then he normally uses and I worked on my Dutch blog and my book. Yes, that's right. I'm afraid to jinx myself if I write it down, but it seems my writer's block is finally over! On Sunday we drove to the west part of the island and visited Shete Boka (Seven Coves), a national park on the North Coast we love very much. Hats, of course. Working on #8. Note to myself: Bring more yarn next time. I still love knitting hats, but I'd also like to pick up something else every once in a while. I'm really enjoying the columns a famous Dutch writer (mostly known for her children's books) wrote in the fifties. I love the way she plays with language and I also love that she dares to write what she thinks, even if it was something less acceptable in those days (she was a feminist). It's kind of inspiring. I also read a book by Andreas Eschbach, but it seems that there isn't an English version (I read it in Dutch). To bad. I think he's one of the best writers of our time. Trying to find English versions I also found out that a lot of his books aren't translated in Dutch either (he's German). I can read German if I really want to, but it's not a fun language to read... Still, his stories are great, so maybe I will, sometime. At the moment I'm reading and writing both in Dutch and English and I'm trying to learn Papiamento (the local language on Curaçao). I think that's enough languages in one mind for a while. Since I keep hearing that the Matchmakers' series I enjoyed so much is comparable to Janet Evanovitch's books, I've started reading "One for the money" on Saturday. I like it sofar, but I can't download the rest of the series within my e-book subscription, so I can't read the whole series. When I finish it I plan to start reading an historic novel about Curaçao. I feel like I should learn more about the place we want to settle, so this is a good start (I know novels aren't the best source, but this is written by an historian, so I assume he does have his facts straight). Lots of articles in Dutch. I hope to be back to more active blogging in English soon, but for now I'm stuck with Dutch, it seems. I'm also looking forward to keep going with my book. And lists of lists to make. Hmn. Relax, Maggie, relax (oh, I was so right to pick that as my word for 2018)! But there's so much to think about. We return to Holland in about a month, but only to sell our house and to take care of lots of small things. And then (we hope in July, but it may take us longer) we'll return to Curaçao to permanently live here. O my! We did decided to give ourselves two years here in rentals and then we'll evaluate if we want to stay or return (or move on to some other place). Bon Siman! Wishing you all a great week. 1. Carnaval is a very, very big deal on Curaçao. I have to admit that we don't really "feel" it. In Holland we live (and were born and raised) "above the rivers" (the north and middle of the country) and that part of the country doesn't really do Carnaval (mostly protestants). The south (mostly Catholics) does, but we... well, we just don't get it. 2. From Carnaval Curaçao went straight into Valentines day. Also a big deal here. We usually don't do anything (hmn, we sound boring, don't we? ), but somehow the excitement here is catching. Four years ago we went on a bit of adventure, this year we spent an afternoon on the beach relaxing, because we were too tired for adventure. We did have diner at the very same restaurant we had diner four years ago though. Last week, we moved. We're no longer staying at our friends'. It was all quite sudden, but we rented a small (tiny) apartment in a neighborhood we've loved ever since we first visited the island. It's a long term rent, for at least a year. And yes, that does mean that living here permanently is becoming more and more a real thing. I'll talk some more about that later. I find myself going back and forth between vacation mode and stressing out. Last week I was supposed to work on the bookkeeping and taxes, but we spent three days packing, moving, shopping and cleaning (I can't feel at home somewhere if I haven't cleaned it myself - I know, it sounds like OCD and maybe it is). Still, I managed to finish the things I really needed to do, so now I can move on to finding a rhythm that includes writing (both blogs and fiction) in my weekly routines, while still leaving room for impromptu beach visits and other fun stuff. It's funny to find that my routines here aren't all that different from the ones I had back in Holland. I still do most of my cleaning on Mondays (got to get that over with asap) and the weekly bookkeeping on Tuesdays (need to make sure I get to that every week). Wednesdays are for grocery shopping, leaving me two days for the rest. For now I'm wishing you all a great week.